- Laser Bazooka shoots a bullet that explodes when it hits the ground. - Laser sniper rifle shoots a bullet that kills almost everyone whom she was struck. - There are a lot of settings for weapons, so you can personalize them. - Laser Weapons is also the creative inventory. Too many ores mod v.2 for Minecraft Pocket Edition 0.9.5Mod Too many ores v.2 for Minecraft PE 0.9.5 - is a mod for new armor, weapons, ore and tools for Minecraft Pocket Edition 0.9.5. 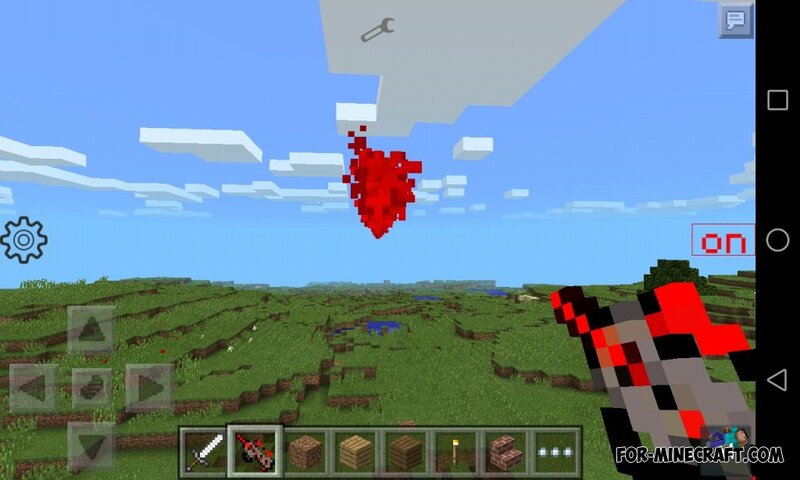 Modes on the laser gun for Minecraft PE 0.9.5Today I want to show you a new cool mod from the developer EC2, Ruins, Portal Gun - Laser Gun.